As is known, cold and hot mineral waters preserve their physical and chemical characteristics as long as they are in their natural environments. The environment where these natural characteristics are at the highest level is the spring point where the cold and hot waters come to the surface or is the flow zone to this point. Due to this, the use of healthy waters that are used for bathing and drinking purposes at their original place is taken as a basis. In other words, bathing in the spring of thermal waters or their flow is desired. These demands create a “privilege” of benefiting directly from natural environment and healthy waters. Whereas this status of privilege could only be exercised by the kings or rulers in the history, bathing in the spring or flow of thermal water is considered as a widespread and usual tradition of the people in our country which has thermal sources with high amounts of healthy waters. This fact indicates the level of the most productive and? economic availability of natural resources in the protection of public health and the purity of our bathing and drinking culture. Whereas the desire and privilege of having a bath in the spring or flow of thermal waters are exercised within monumental and splendid structures in some countries and cities having healthy water springs; in rural regions, only the summer brings forward the outdoor thermal pcol and mud facilities. For example, it is possible to see this kind of buildings from the periods of empires in countries like Germany, Austria, Hungary, Czechoslovakia, France and Italy. Wiesbaden and Bad Hamburg-Kaiser Bad in Germany, Carisbad in Czech Republic form the most interesting examples of this kind of monumental buildings. 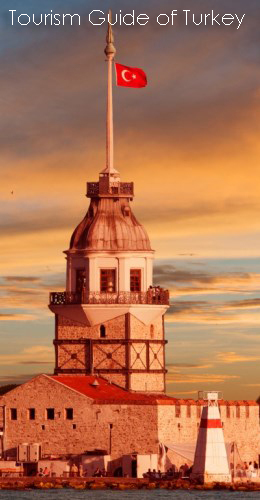 These monumental and splendid buildings are observed rather in Bursa in our country. The two important buildings are the Old Spa built in the period of Murat I and New Spa built in the period of Suleyman by Mimar Sinan (1555-1557) as “ThermalTurkish Baths”. These monumental buildings are the most splendid pieces of Ottoman-Turkish bath culture (Old Spa is from Byzantine period. This old building has been repaired and restored by the 3rd Ottoman Sultan Murat I completely). Currently, this kind of special bathing places are observed in building units called “King’s Room” in luxury hotels and resorts. However, fresh water instead of thermal water is used in these places. In fact, in spa planning studies, “cure + treatment units” are foreseen which are directly connected to thermal spring well in spa centers that have high spring water productivity. Similar applications are observed in Sea Thermal centers. However, thermal water supply to accommodation facilities that are located in spa and sea thermal centers is not desirable. Thermal cure and treatment applications are observed only in basic cure and treatment centers. However, when special bath and treatment applications of this kind are concerned, special accommodation units and development of cure and bath units with thermal water connection are taken into account as a planning principle. The desire and habit of bathing in the spring or flow of thermal water is seen as a usual tradition of rural areas in Turkey. Pamukkale, Gönen mountain spa, Çeşme-Şifne spa, Köyceğiz-Dalyan Rızaçavuş inlet, Adana-Haruniye, Erzurum-Köprüköy, Bitlis-Güroymak, Siirt-Billoris, Ankara-Sey bath, Samsun-Ladik spa are examples for such applications. observed due to an improvement in kidney functions during mud bath. Mud develops depending on mineral waters, sea and lake waters and has organic “live”, inorganic “non-living” characteristics. Depending on the physical and chemical conditions of the environment, it acquires hot or cold radioactive etc. characteristics. This kind of mud is called “PELLOID”. Except for natural formations, FANGO-PARAFANGO etc. mud is obtained through mixing paraffin with volcanic elements and loess having sulfurous, clay and slity ingredients under certain conditions. It is used as local or general. It has technical and electrical factor effect. This effect regulates and improves local and general circulation. Application of sm”oth galvanic current to the person in the water is used for multiple joint rheumatic problems, circulation irregularities, coping with stress, cellulite treatment and relaxation due to its regulatory effect. At the end of cures each kind of rheumatic diseases, calcification, sciatica, lumbago, wrist aches, joint and muscle aches are treated. It provides the nutrition of the skin, improvement of circulation, relaxation of the person. Additionally, it is applied to provide a softer, healthier and fresher skin and acquire eutroptic benefit.